I'm not sure how I came to the American writer Richard Ford so late in the scheme of things. 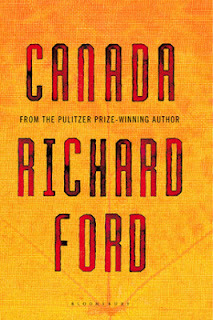 It was only recently I came upon his most recent novel, Canada. Why I hadn't been reading this wonderful writer long before is one of those unknown unknowns that Donald Rumsfeld must have been talking about. I have been missing some terrific storytelling indeed. "Children know normal better than anyone else," says Del Parsons, narrator of this rather forlorn novel, and the book proceeds to investigate what that normal might look like, through the eyes of the teenager. The book's opening lines are brilliant. "First, I'll tell you about the robbery our parents committed. Then about the murders, which happened later." Set at the beginning of the sixties, the story tells the strange tale of Del, his twin sister Berner, and their parents, mother Neeva and father Bev. The portraits of Neeva and Bev are masterpieces. Neeva is an aspiring writer who somehow gets mixed up with wartime fly-boy Bev, who is haunted by what he did in the war. How they turn to crazed and desperate measures to solve rather simple difficulties is amazing, funny and sad. Pathetic actually. There is a soft slowness to this book, a flatness that seems to match the landscape of first Montana, and then Saskatchewan. The characters that reside in the second half of the novel, the Saskatchewan half, are incredibly written, reminding me of some of the actors that live in books by Cormac McCarthy. There is a weirdness, and certainly at times an undercurrent of wrongness, perhaps evil, in several of the people Del meets. The landscape Ford paints of southern Saskatchewan, near the Cypress Hills, is true and clear. The air smells right and the skies are never ending. Our young Del, comes to appreciate, and so do we, the distance and emptiness of the land. And to accept his place in that land. Canada is rich and beautiful. It catches the grinding sadness and loneliness of what a life can often be. And normal, at least for Del, is determined, in the end. 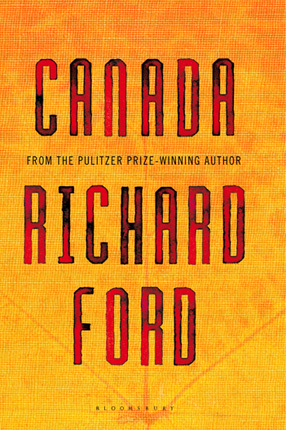 Difficult to put down, Canada is a work that lives with the reader long after.